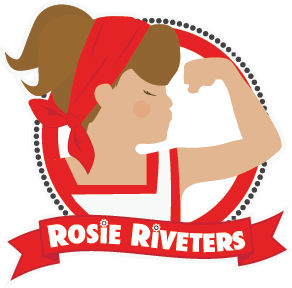 Rosie Riveters' mission is to provide a fun space for girls ages 4-14 to imagine, create and play while developing their skills in science, technology, engineering, and mathematics (STEM). Rosie Riveters Program (available to both girls and boys) focuses on the different aspects of STEM and features hands on experiments to inspire kids with the confidence to try. Registration for this event is full. Sign up for the waitlist on the Rosie Riveters website to be notified about future events. The curriculum for this Saturday program is a repeat of Fall 2016 (10/24/16-11/17/16). If your child attended the Fall 2016 program at Westover, Cherrydale, or Central Library, they should not register for this four-month Saturday program. This program is a partnership between the Arlington Public Library and Rosie Riveters, and registration info is shared with Rosie Riveters.